Dave and Jean Perry have been writing and publishing their songs for schools and churches for over thirty-five years. With over three hundred titles in print, their music has been performed by choirs of all levels and ages around the world. Dave received his Bachelor of Music Education degree from Baker University and his Masters in Choral Music Education from Arizona State University. After spending twenty-eight years as a high school choral director, which included teaching musical theater, music theory, guitar and humanities, he retired in order to devote more time to writing music. Dave also has twenty-five years’ experience directing church youth choirs and ten years’ experience as a director of community college choirs. He has directed numerous honor and festival choirs and continues to present workshops and interest sessions to choral music educators. In 2000, he was selected as the “Arizona Music Educator of the Year” by the Arizona Music Educators Association. Jean began her music education studies at Baker University and completed her degree in Choral Music Education at Arizona State University. She spent seventeen years as a junior high choral director and eight years as an elementary general music specialist and choir director before retiring in 2002. Jean now devotes a majority of her time to writing and composing. She travels throughout the United States working with choir in clinic situations, presenting interest sessions to fellow teachers as well as directing elementary and middle school regional and all-state choirs. Jean was honored with the “Teacher of the Month” award by the Mesa Public Schools and in 2002, she was selected as the “Arizona Music Educator of the Year” by the Arizona Music Educators Association. 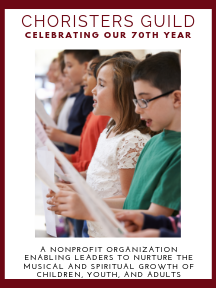 Dave and Jean are both recipients of the “Excellence in Teaching” award and the “William E. Richardson Retired Music Educator Service Award” from the Arizona Music Educators Association and the “Lifetime Recognition Award” from the Choral Directors of Arizona. They have also been honored with awards from the Sierra Vista Mayor’s Arts Commission and the Sierra Vista Symphony. They are recipients of multiple special composer’s awards from ASCAP. Dave and Jean enjoy living in Sierra Vista, Arizona.